Some Islanders are expressing anger and hurt after P.E.I. was left off a map on a Hudson's Bay Company T-shirt celebrating Canada's 150th anniversary, and also a map at the Vancouver International Airport. Marie Gilchrist noticed P.E.I. was missing from a map at the Vancouver airport when she was standing in line to get through security near a map of the world. While sitting at the gate she wrote a letter to the Vancouver Airport Authority. "I was mortified and I was really upset, so by the time we got through security I had already had a letter made up in my mind," said Gilchrist. "It angers me because I think people don't give Prince Edward Island the credit that it's due," she said. "It bothers me. It really hurts my feelings." "I think it's a shame and I think that something needs to be done about it. I know that we're a peaceful province and a quiet, tranquil province, but I think people need to stand up for ourselves and say that we are a voice," said Gilchrist. She said that if any other province had been left out, there would be outrage. "Prince Edward Island will be put back on the map or I will continue to write until I become such a thorn in the side that they'll draw it in with Magic Marker," said Gilchrist. Gilchrest said the airport authority responded to her initial email two months later. "We certainly apologize for the omission of P.E.I., we are currently in the process of replacing the map and will make sure it is accurate," the Vancouver Airport Authority told CBC in an email. Kathy Pickles, originally from P.E.I., and now living in Victoria, was also upset by a map omitting the Island. She noticed Canada's smallest province wasn't included on Hudson's Bay Company T-shirts honouring Canada's 150th birthday. The T-shirts were part of the Grand Portage collection, with 10 per cent of the net proceeds going toward connecting the Trans Canada Trail. Pickles sent Hudson's Bay Company a message, contacted CBC News and posted on Facebook about the oversight. "I don't want no shirt without P.E.I. — forget that," said Pickles after someone suggested she should buy a shirt because it may become a collector's item. "I'm not impressed. I mean I realize it's small and it's difficult to fit it in in the appropriate scale, but come on, it's part of Canada," said Pickles. 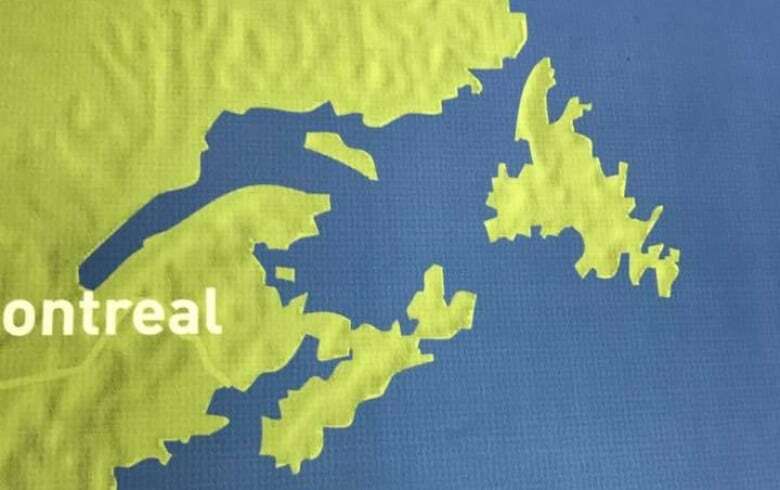 The T-shirt and a onesie with the incomplete map of Canada have been pulled by The Bay. In an emailed statement the company said, "Hudson's Bay is committed to celebrating all of Canada with our $1-million fundraising initiative in support of the Great Trail. We realized there was an error with one of the designs in our collection and have pulled the product. Our focus is to join Canada together and commemorate the country's 150th through this exciting and important cause." Brenda Gallant, director of marketing for Tourism P.E.I., called it "unfortunate" that the birthplace of Confederation had been overlooked. "It's always unfortunate when a company or organization fails to include our province, the birthplace of the country, on their maps or in their publications," she said in an email. "If we are alerted to any situation like this we always follow up to ask that the mistake be corrected. 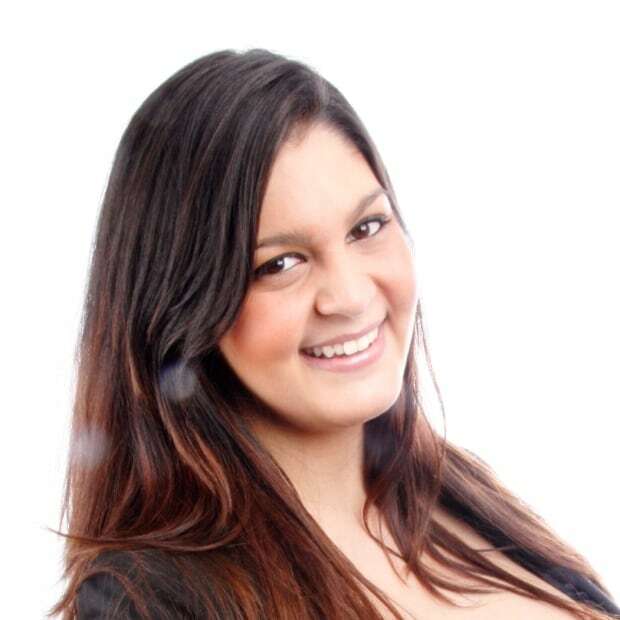 Krystalle Ramlakhan is a multi-platform journalist with CBC Ottawa. She has also worked for CBC in P.E.I., Winnipeg and Iqaluit.